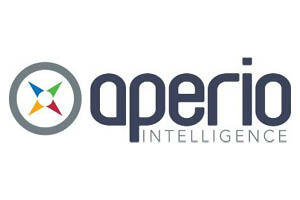 Aperio Intelligence is a London based corporate intelligence and financial crime advisory firm founded in 2014. It was established by Adrian Ford, its CEO and owner, who was previously a director in the forensic team of KPMG LLP in London, and who led the firm’s corporate intelligence services for over 10 years. Advisory and investigatory services to legal clients. Our work combines knowledge of financial crime typologies and industry risks, local insight and local languages to address complex subjects. Alongside our corporate intelligence services, we regularly produce thought leadership pieces in relation to financial crime developments. In our due diligence and country risk provision, we work with large financial institutions, including top tier investment banks (both US and European) and numerous financial institutions and asset managers specialising in high net worth individuals. Our team is specialised along regional lines, with particular experience in the former Soviet Union, Asia (including China, India and SE Asia), the Middle East (including Iran), plus many of the larger economies of Africa. We have offices the UK, France and Romania.